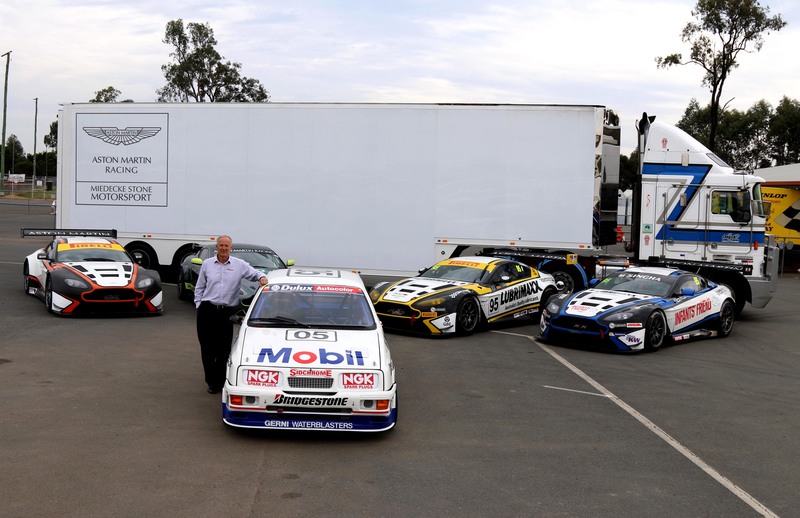 Following a lengthy and meticulous ground-up restoration, Andrew Miedecke’s Ford Sierra RS500 he once raced with Peter Brock will be on display alongside a host of the King of the Mountain’s former race cars. 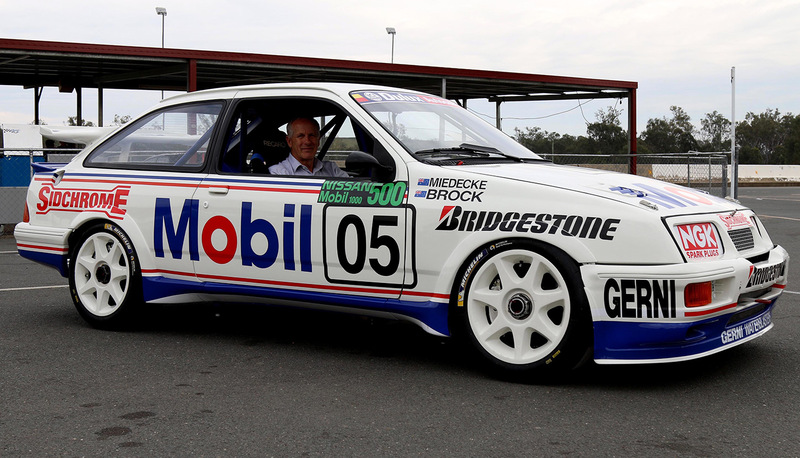 The Sierra was driven by the pair in the 1990 Nissan-Mobil series in New Zealand and will be presented in the identical livery to how it finished its last race – Brock and Miedecke racing to a victory at Pukekohe Raceway at the end of that season. The car turned its first laps since the complete restoration this morning at Queensland Raceway. Miedecke made his Great Race debut in 1986 and finished inside the top ten on five occasions. His best finish came in 1997 when he scored a podium racing a Mitre 10 Falcon with Mark Larkham. However it’s his relationship with the Stone Brothers – Ross and Jim – and now Matt Stone that has racing historians turning back the clock. Tickets to the Supercheap Auto Bathurst 1000 are available at Ticketek. Miedecke, a veteran of 15 Bathurst 1000 starts, also announced his GT racing outfit Miedecke Stone Motorsport would enter a trio of Aston Martin GT cars in the 2017 Liqui-Moly Bathurst 12 Hour. The Miedecke-Stone partnership is run jointly by Miedecke and Stone – the son of former Stone Brothers Racing co-owner Jim. Miedecke says the entry to the Liqui-Moly Bathurst 12 Hour represented a major step in growing the Miedecke Stone Motorsport team. “The 12 Hour is one of the four big GT events in the world. It’s an extremely competitive race at one of the world’s best circuits and it is the next step for our team,” Miedecke said. “I started with a single Aston Martin GT3 with the intention to do some racing with my son, George before I retired, however it has grown into much more than that. “Matt Stone ran the car at the Grand Prix event and that went very well – and George showed he was very, very fast in these cars. I already had a very long standing longstanding friendship with Matt’s father Jim Stone. We talked about it and we all had the ambition to do more, so when the very competitive Aston Martins and a very, very large spares package came up from Craft Bamboo Racing we grabbed them.